What the heck is soaked bread? (Conjuring up mental images of bread cubes dipped in milk for a meatloaf...) Up until quite recently, this would have been my reaction. I have baked bread for years and had never heard of soaking grains prior to cooking or baking with them. But the challenges of cooking for food allergies and improving my own health have led me to discover some other methods of baking with grains. Even with my food degree, I never knew about the phytic acid and enzyme inhibitors in many grains that can prevent efficient nutrient and especially mineral absorption. Fortunately, most of these grains also come equipped with the phytase enzyme required to deactivate these "antinutrients". Conveniently, traditional methods of preparation take the time to activate the enzymes with an acid medium. While this takes more time, it really takes little extra effort. No more than remembering to feed your sourdough starter the day before you want to bake with it does. Another benefit to soaking grains is that it makes them much more digestible. 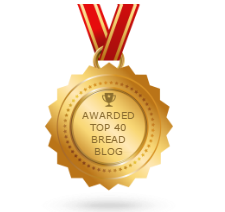 I have even heard that some people who are gluten sensitive can tolerate soaked grain baked goods. Soaking the grain also happens to make some of the nutrients more bioavailable and at much higher levels than unsoaked grain. At any rate, I felt it was worth a try. I've made this loaf quite a few times because it is bread machine friendly. I've also served it to skeptical company who proclaimed it delicious. Very tender and flavorful crumb. Just pop it into the machine to knead together a few minutes and leave until the next day. Then just add the salt and yeast, knead as usual and bake as usual. So really it takes almost no extra effort, just a longer resting period. I recently switched to extra thick rolled oats because I found the most popular store brand didn't hold up to soaking and I cannot stand gooey creamy oatmeal (library paste.) I boil it for three minutes, (4-5 for the thick oats) drain it and that's enough cooking. We like our oats with plenty of tooth to them still. What I found with this particular recipe was that the thick oats absorb more water than the old fashioned oats. So depending on your oats, I might add a tablespoon or more extra water to achieve a sufficiently workable dough. And remember, bread dough would always rather be too wet than too dry. * Also, the salt is not added until the next day because it inhibits the whole soaking process. This is one of those "baby steps" toward slow food/nourishing food ways of eating. I just consider it another tasty way to help me learn to plan ahead better. This batch turned out well enough to be yeast spotted. 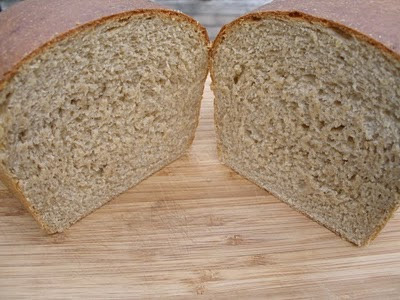 *Unless you're working with spelt - that does not like to be overhydrated or the gluten structure will collapse easily. 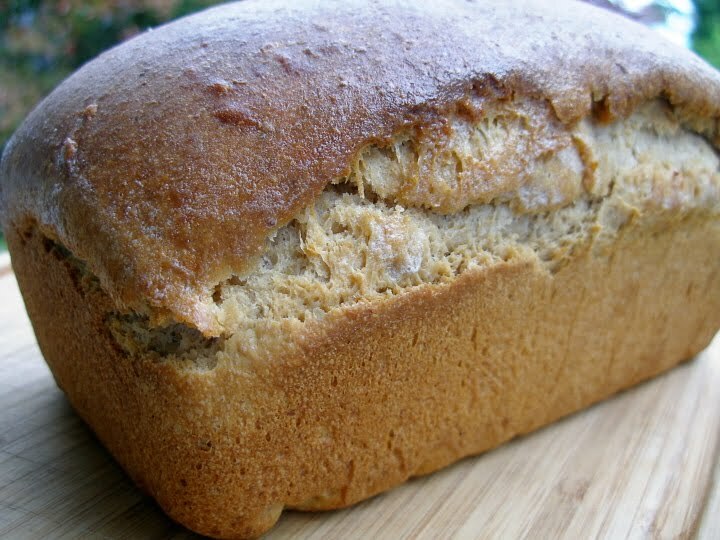 Put the water mixture, flour, oats, honey, oil and flax seed in the pan of your bread machine in the manufacturer’s recommended order. Turn the bread machine on the dough cycle and let run for about five minutes, until all the ingredients are well mixed. Turn off the machine and let this sit for 12-24 hours. Next day, combine the 2 Tbsp water, ¼ tsp honey and yeast and let sit for a few minutes to activate the yeast (mixture should rise and become foamy). Add the yeast mixture, salt and gluten to the flour in the bread machine. Select the dough cycle and watch it for the first few minutes to make sure it doesn’t need more flour. I actually added a tablespoon of water because of those thick oats. When the dough cycle is finished, turn out the dough onto a floured surface. Pat or roll into a rectangle, then roll up to fit in your loaf pan. (I use a smaller loaf pan, about 8x4".) Place in greased loaf pan and allow it to rise until doubled, about 30 to 45 minutes. Don't over raise or it will fall. Bake at 350º for half an hour, until crust is brown and it sounds hollow if you tap on the bottom of the loaf. You can brush the crust with melted butter to keep it extra soft and tasty. Oops. Not too bad though. I've seen some soaked recipes that basically overflowed all over the pan or oven. Not pretty. 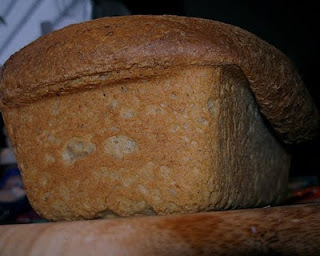 I like this one because it looks like a nice traditional loaf - no flat top. Even the one with the missing gluten would have had a decent crown if I hadn't forgotten it. ☺ You can see that it also has a larger crumb than the loaf with that extra little bit of gluten. The girls were quite willing to eat it up though. What a nice loaf! The texture looks so great to me.. This is going to be on my to try list. I'm just wondering how wet is the dough when you first mixed everything in the bread machine? Do you think it is possible to do this either by hand or in a stand mixer? Oh yes, certainly! Use whatever method you prefer. I have seen versions that include machines, mixers and hand kneading, with soaks that range from batter like to more dough like. I like to do stretch and fold when I make my regular dough by hand but I think this method probably needs regular kneading. Good luck and have fun! Hey there - any chance that it can be baked straight in the breadmachine? If so, suggestions as to which setting you'd use?